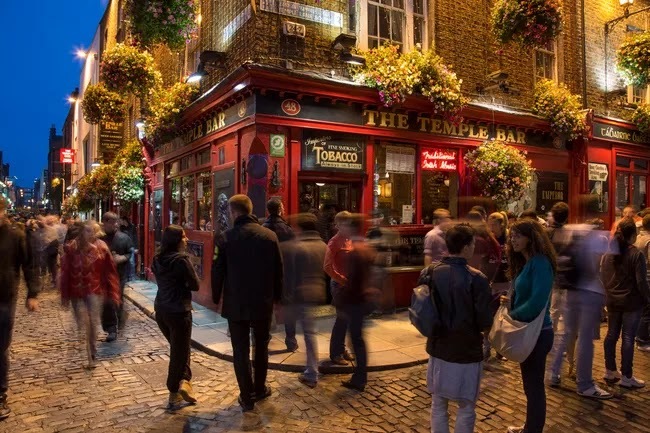 An opportunity to visit Dublin should not be missed. Many factors go into building an itinerary, such as the timing of a visit, available accommodations, quality of attractions and climate. Dublin serves as the entry point for many of Ireland's visitors. It offers a major airport and the best selection of accommodations in the country. But a Dublin visit can be expensive. 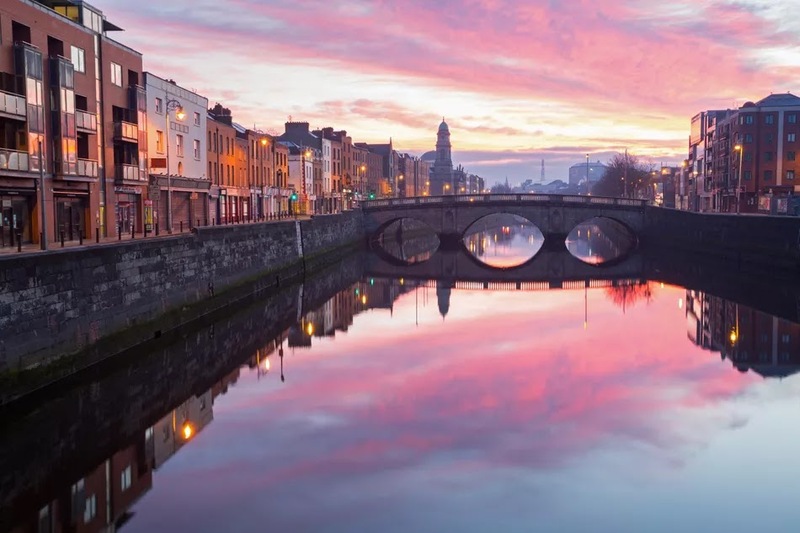 Learn some strategies for budget travel in this capital city and throughout Ireland. Ireland is largely a rural nation, made up of smaller cities and villages that entice visitors with old-world charm. 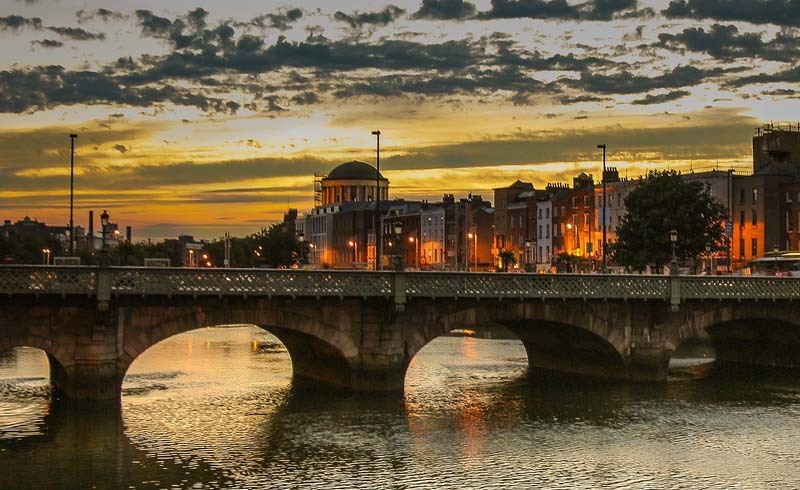 Dublin rules as the dominant city of the nation, both in terms of population, amenities, and transportation options. But this Irish metropolis is not without its own charms, and it's easy to spend days exploring its museums, castles, and churches. Budget travelers will want to make careful plans, as hotel stays and meals here can become more costly than expected. Summers tend to be mild in Ireland, but the trade-off is that crowds peak with the temperatures. So if you'll be visiting June-August, it makes sense to think about reservations for tours and accommodations. Spring and fall are usually comfortable periods, with cool nights and pleasant daytime temperatures. Winter is the lowest point in the tourism season, but prices for some services will fall with the demand, making a wintertime visit worth considering for travelers on tight budgets. If you opt for a winter visit, be certain the attractions you most wish to visit are open. Some will close down for refurbishing during the slow times. 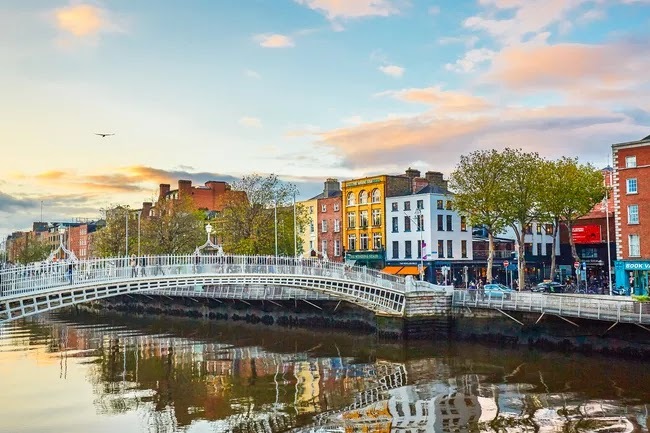 Dublin offers an excellent selection of homes to rent for a short stay, as well as hotel and bed and breakfast options, but be certain the location fits with your sightseeing plans. Sometimes, a low-priced B&B is just too far from the best attractions to be practical. Searches of chain hotel options in Dublin will turn up quite a few choices, but prices can be steep. Dublin hostels provide some excellent alternatives, but find out the primary focus of a hostel operation before committing to a stay. Without a doubt, Dublin is the transportation hub of Ireland. It is connected by air to other major European cities and those in North America. Ferries transport travelers to the United Kingdom and other parts of Ireland. Dublin also is the hub for the national rail service, known as Irish Rail or Iarnród Éireann. Bus travel in Dublin is economical but requires some patience and lots of pocket change. LUAS is a tram system operating on two lines (red and green). One-way fares start at about €2, with off-peak fares even lower. There is no rail service to the airport, but Dublin Bus provides cheap (and slow) service between the airport and central city for €7 ($7.85 USD) and €12 for a round-trip ticket ($13.45 USD). If your time is limited in Dublin, consider the cost savings of taking the bus against the amount of precious time you'll spend staring at the seat in front of you. There are situations where a cab or ride-share service such as Uber could make better budget sense. At Trinity College, itself a major tourist draw, you'll find the Book of Kells displayed. This is a masterfully illustrated version of the Gospels in the New Testament, but because it's under glass, you'll only see two pages of it. Still, people line up to see what is legitimately a work of art. Instead of paying just to see the Book of Kells alone, book a larger tour that includes the site. 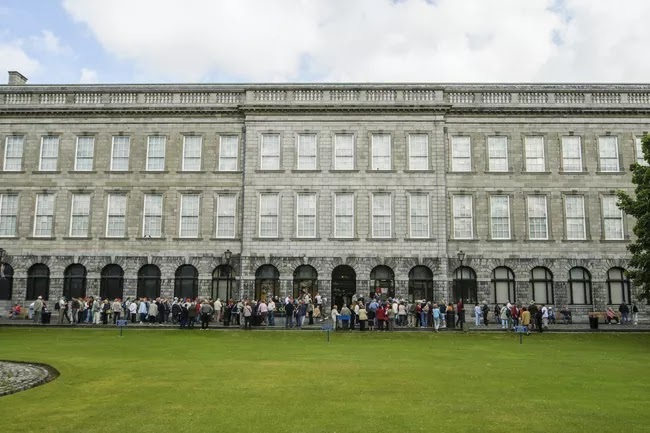 A Trinity College Tour, as part of a larger introductory walking tour of Dublin, will provide a view of the Book of Kells and the impressive college library. Be aware that these tours fill up quickly during the summer months. 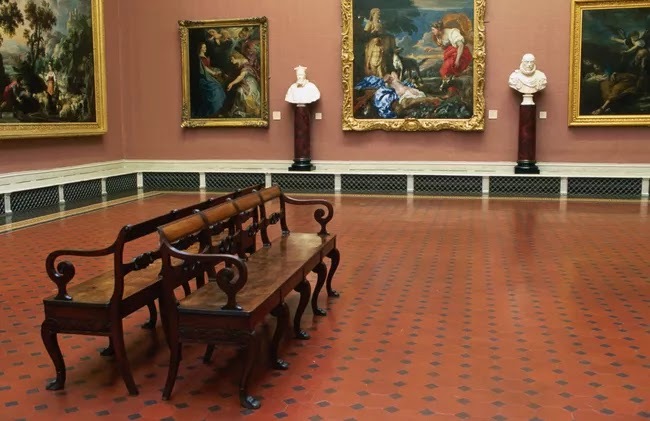 Heading the list of free attractions in Dublin is the National Gallery, which houses a wide array of art objects and some priceless works from the likes of Rembrandt, Monet, and Goya. There are also free lectures and tours, so check the museum schedule for what's available during your visit. The museum is located on Kildare Street near Merrion Square. Quality guided walking tours can be quite expensive. Many would argue that the investment is justified, even on a budget. After all, you've already put down a tidy sum of money just to get to your destination. Budget travelers take great interest in tours that offer quality and no fee. Dublin Free Walking Tour is a company offering five such tours. Groups form at 11 a.m. and 3 p.m. daily at the Spire on O'Connell St. Although there is no charge for the tour itself, the guides work on tips. So, as your budget allows, provide them with a reward if they deliver a good tour. A Dublin Pass for one-day starts at about $55 USD for adults. A two-day pass is about $78, with three- and five-day passes also available. 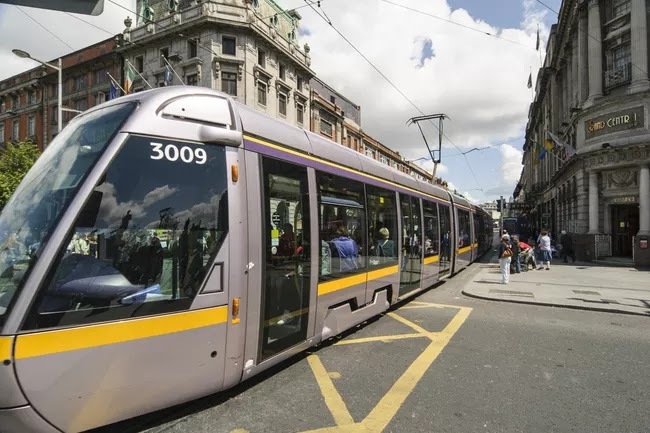 It offers free admission to more than 30 of the city's top destinations, and free transportation in the form of a hop-on, hop-off bus that also makes runs to the Dublin Airport. The pass qualifies holders for discounts in area stores. You must determine if the shop discounts represent true bargains, and also check the list of covered attractions. If many of the offerings don't appear on your independently constructed itinerary, the pass might not be of much value. 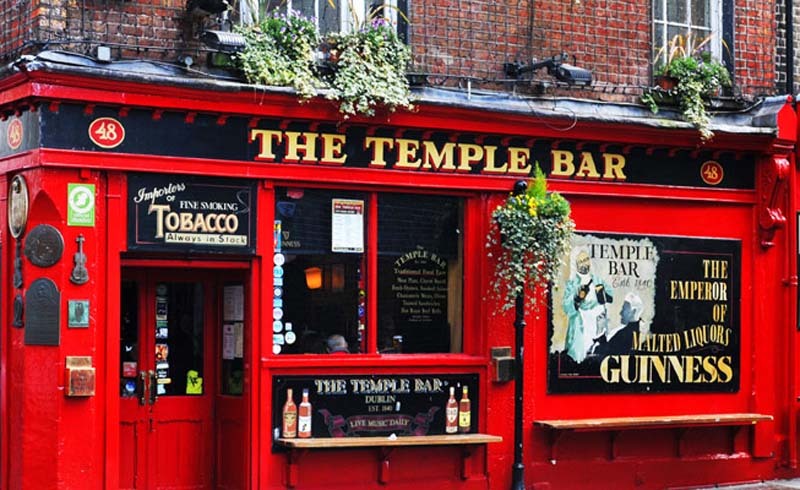 You'll see many guidebooks recommend Temple Bar as a "must have" experience while in Dublin. The area was once run-down but has since revived, catering to small bars and restaurants, hostels, art galleries, and entertainment venues. During the day, it is plain and no more boisterous than other parts of the city. Nightlife transforms the place. Watch out for pickpockets in the busy times, because they have this area staked out.